Catamaran sailors too have the right to close their eyes once in a while. 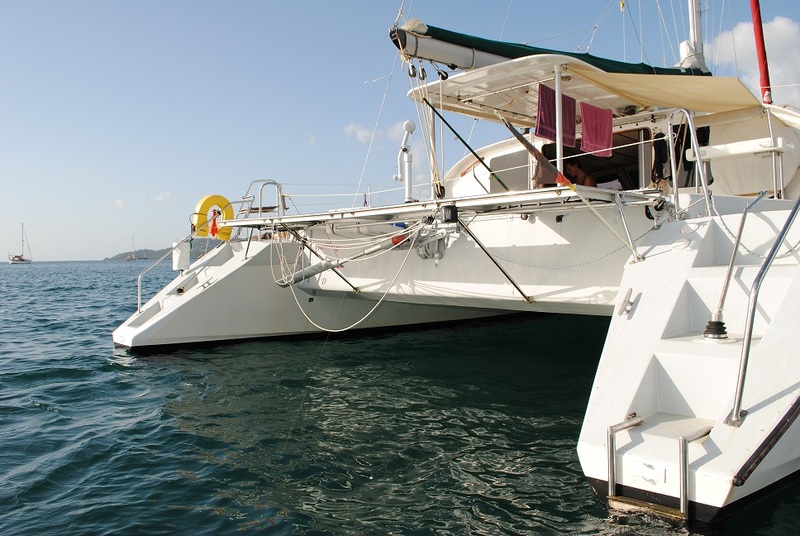 Ocean-going catamarans at sea are almost without exception steered by electric autopilots, with permanently installed inboard autopilot systems generally the preferred way of sparing the crew a life of drudgery. 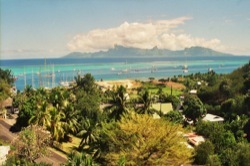 When planning a bluewater adventure, most sailors will want to make effective energy management on board one of their top priorities, but autopilots are among the most power-hungry devices to go to sea, so deciding to rely on one as the primary wheel- or tiller-waggler necessarily involves significant compromises elsewhere on the boat if the batteries are to cope with demand and survive non-motoring hours in good health. Ordinarily the choice of autopilot – and hence the power consumption to be expected – is constrained by the size and weight of the boat. Assuming all components are optimally matched to minimise average power consumption, the only way to make the batteries go even further is to reduce the frequency of course corrections (to allow the boat to yaw more before the autopilot responds, in other words). Modern autopilots are designed to learn and adapt on the job to keep operating cycles short, minimise motor activation time and respond quickly to avoid the need for more vigorous rudder movements. Add in the manual yaw angle adjustment mentioned above, however, and we have exhausted the options in terms of further power-saving measures. Bluewater sailing represents the ultimate test for any autopilot. An underpowered system will eventually prove unable to keep yawing under control due to a lack of speed, power and anticipation. Sailors understandably have nightmares about the rudder losing its grip because of the damage to rig and crew that can result and doubtless many have carried on steering manually long after they would have welcomed a break on account of fears about the adequacy of the autopilot. 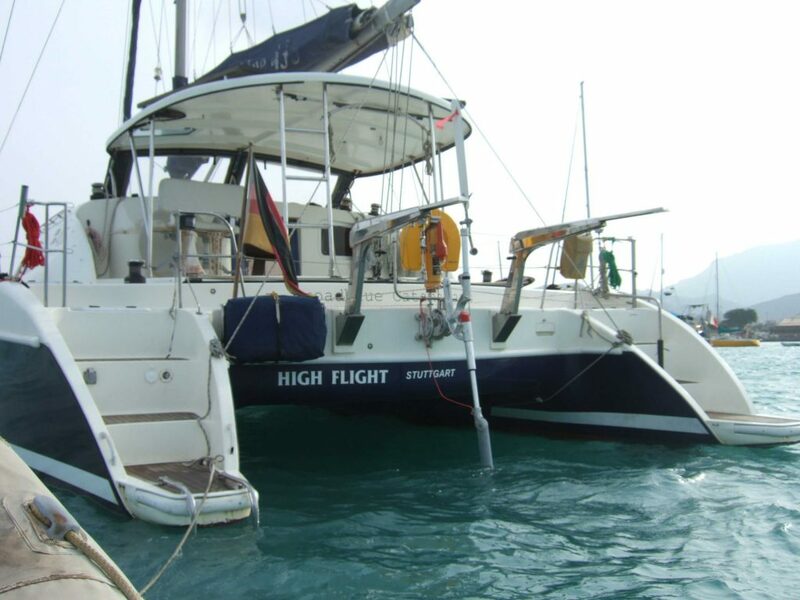 When sailing short-handed, two-up or alone, choosing the right autopilot is an existential matter. 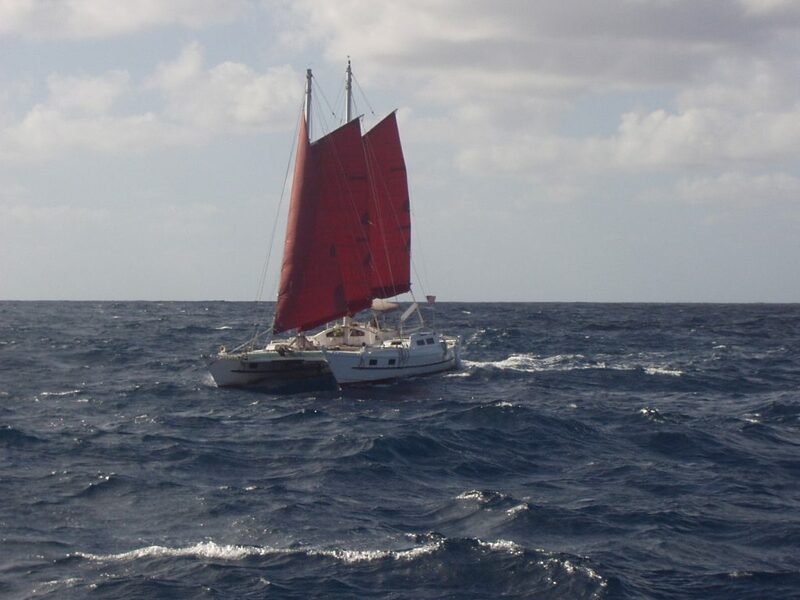 Pick the wrong one and the whole trip could be in jeopardy: 1000 miles at sea under sail is more than enough to show how wide the gap can be between theory and practice. 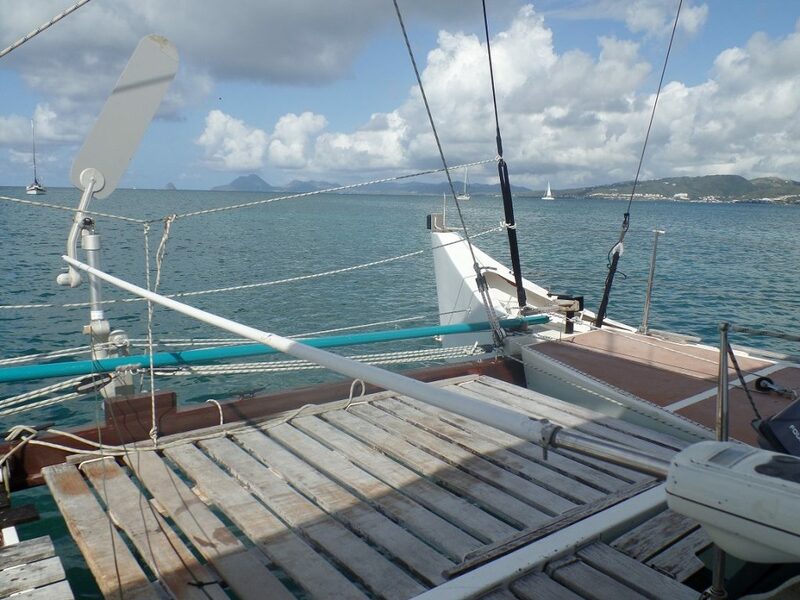 Certain of the characteristic features of catamarans are highly conducive to effective steering. Two hulls with a relatively long waterline length and the complete absence of permanent ballast make for very good course-holding abilities, there is relatively little load on the helm and the boat is generally easy to steer (not least because of the efficiency of the stern-mounted rudders). 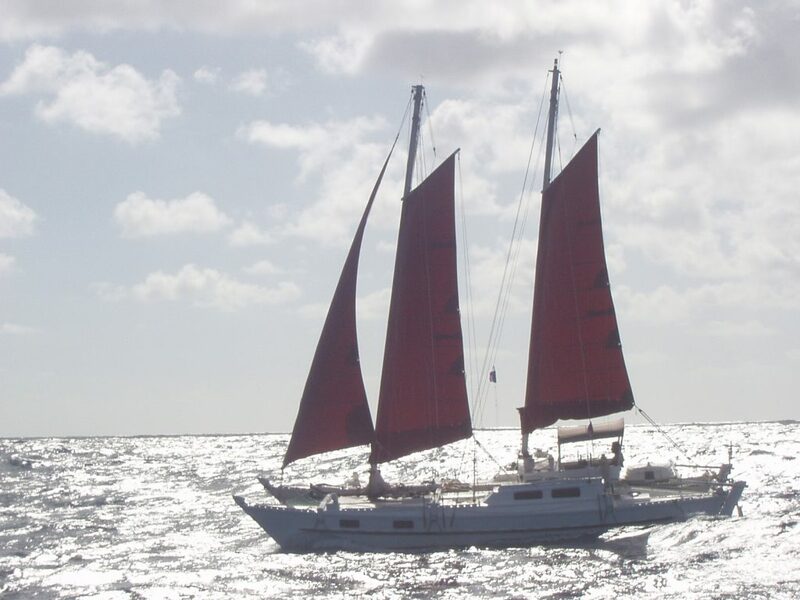 Unlike all but the lightest of monohulls, however, multihulls accelerate rapidly with every puff, pushing the apparent wind forward significantly, and then slow down again quite quickly as the wind drops, causing the apparent wind to swing aft significantly. 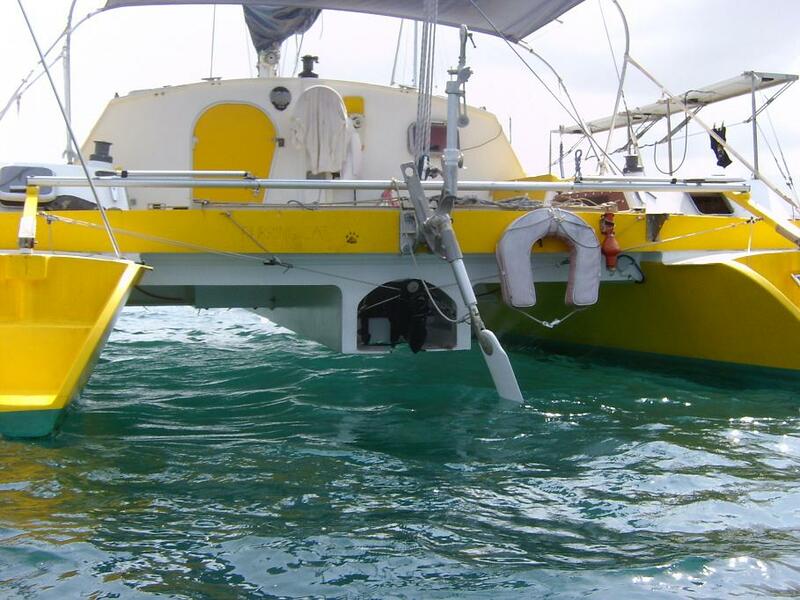 Cruising catamarans are less prone to such dramatic changes in the apparent wind because their design and the amount of equipment they carry inevitably makes them heavier than the stripped-out racers. 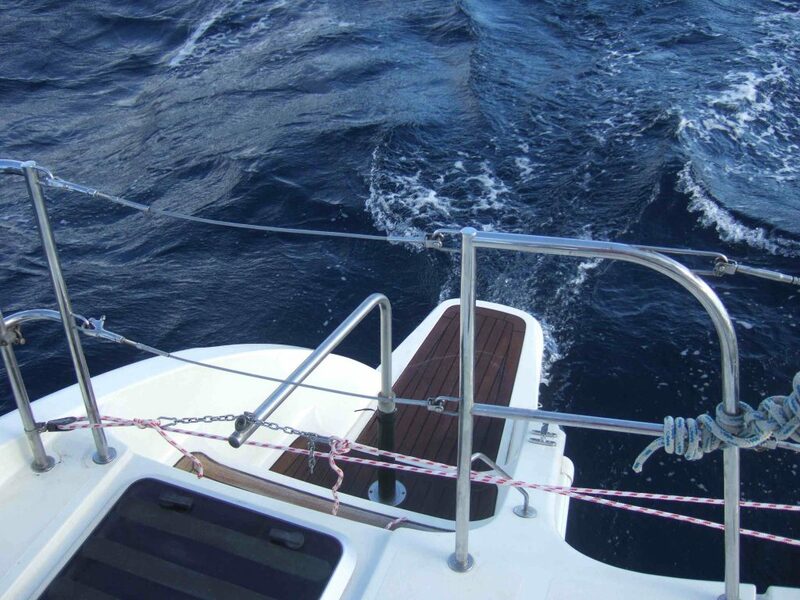 Monohulls respond to an increase in wind strength by heeling more and accelerating slightly. The apparent wind goes forward only a few degrees. 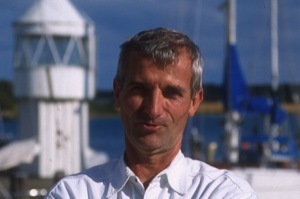 Multihulls accelerate faster in the puffs with appreciable heel, causing the apparent wind to go forward significantly. 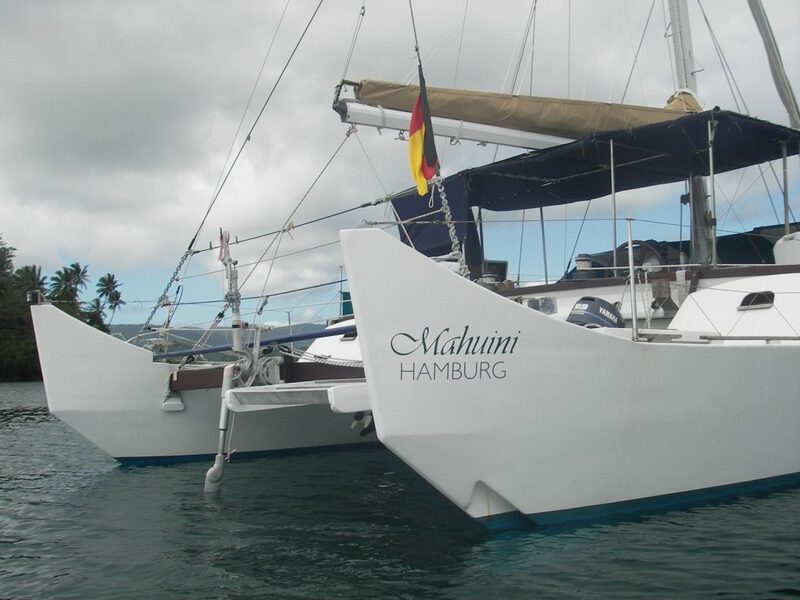 This fundamental characteristic of multihulls has led catamaran skippers to favour autopilots pretty much exclusively. 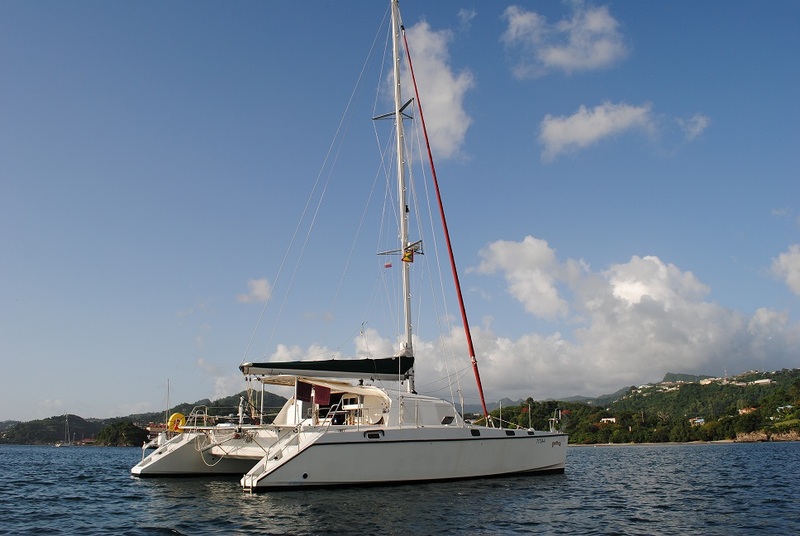 A vanegear though can actually make excellent sense on extended trips, as catamarans can be steered very well indeed by a servo-pendulum system. 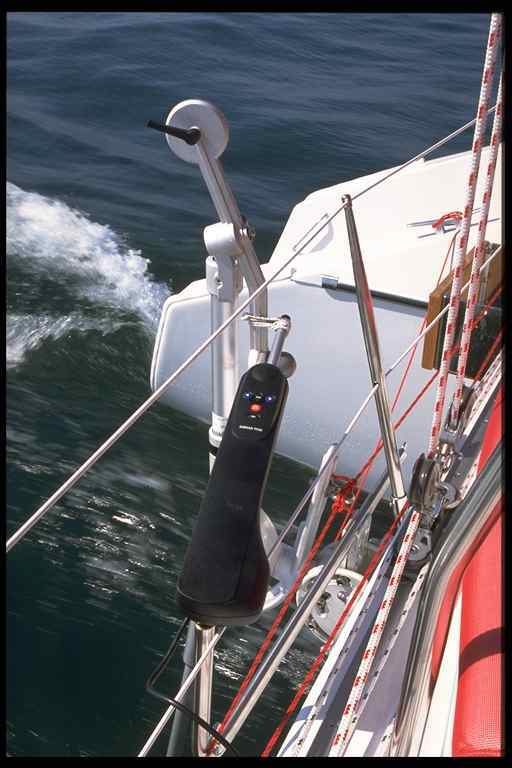 A catamaran’s considerable speed potential translates with a servo-pendulum system into significant power at the helm. 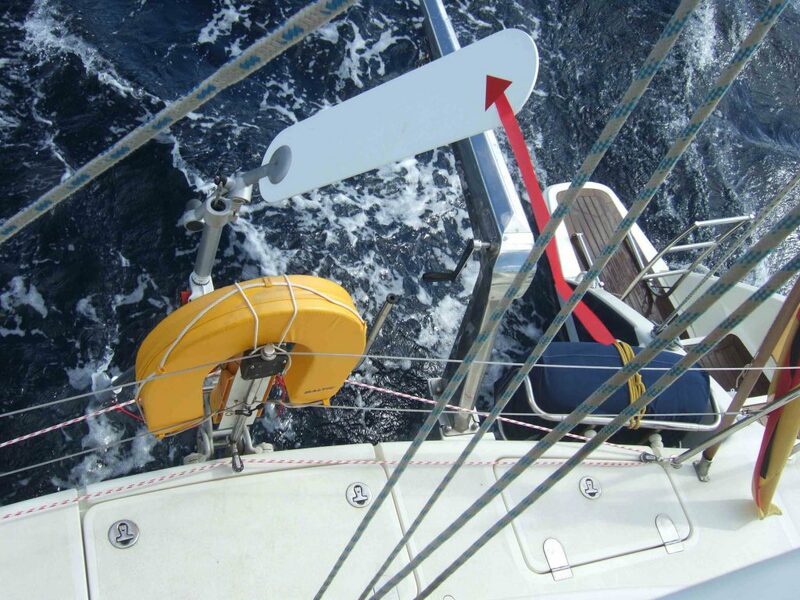 The system’s windvane can be trusted to provide a reliable steering signal for as long as the wind strength and apparent wind angle remain steady. 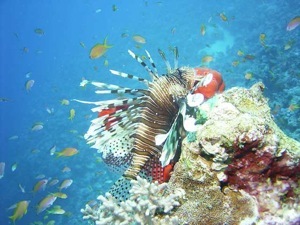 In variable or gusty conditions, however, the pronounced shifts in apparent wind angle will leave the windvane steering system weaving back and forth all over the sea. 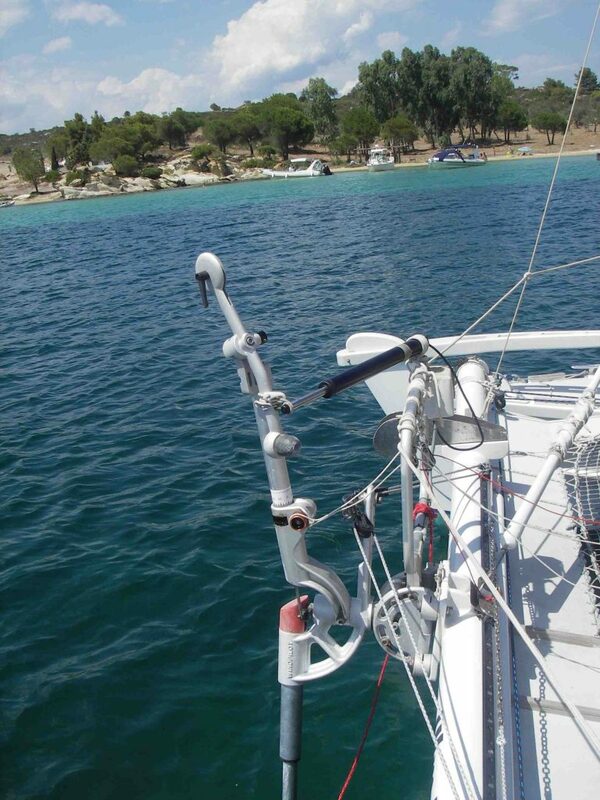 Smart sailors can combine the respective advantages of autopilots and windvane steering systems by using a small push rod autopilot to operate the pendulum rudder instead of the windvane. The autopilot uses very little electricity, but the powerful servo-pendulum system has no trouble turning the autopilot’s small course corrections into firm and accurate movements of the main rudder. The windvane that ordinarily provides the steering signal is removed and replaced with a small cockpit autopilot. Servo-pendulum systems need a smooth-running link to the main rudder to work properly. 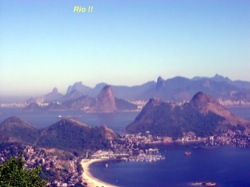 This will generally not be a problem unless the distance between the two is especially large, in which case the length of the transmission lines and the number of blocks that would be required would create too much friction for the system to operate the two rudders effectively. Fortunately there is another way. 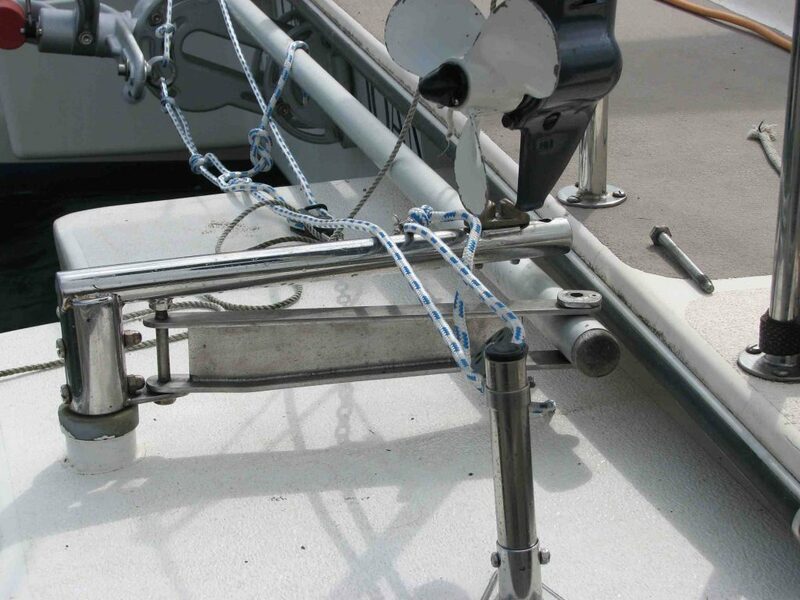 Excessively long and/or complicated transmission pathways can be avoided by using the servo-pendulum system to drive the emergency tiller. This arrangement only makes sense though if the wheel steering mechanism can be disconnected from the rudder without too much trouble (and of course if the person on watch can reach the emergency tiller quickly and steer with it if necessary – there’s nothing to be gained by grabbing the wheel if it isn’t connected to anything). 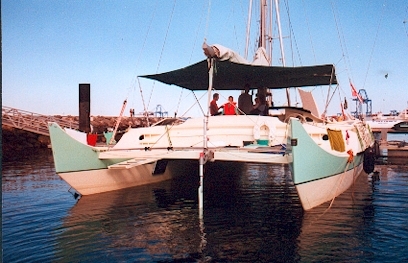 A better option for catamarans is to interrupt the mechanical connection between the two rudders. 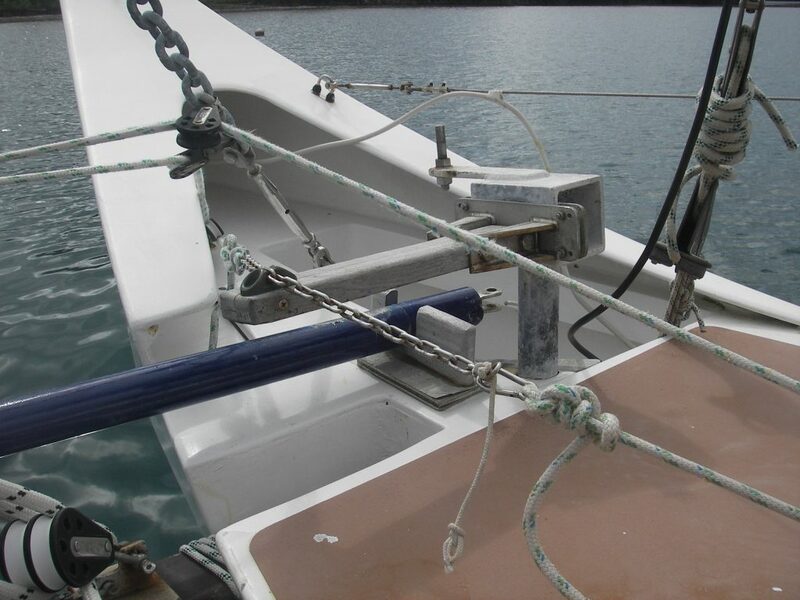 This connection usually consists of a tie-rod that can be disconnected from the rudder quadrant below deck on one side and then positioned so that it slides freely when the rudder to which it is still connected is moved. The procedure is the same with hydraulic steering systems. 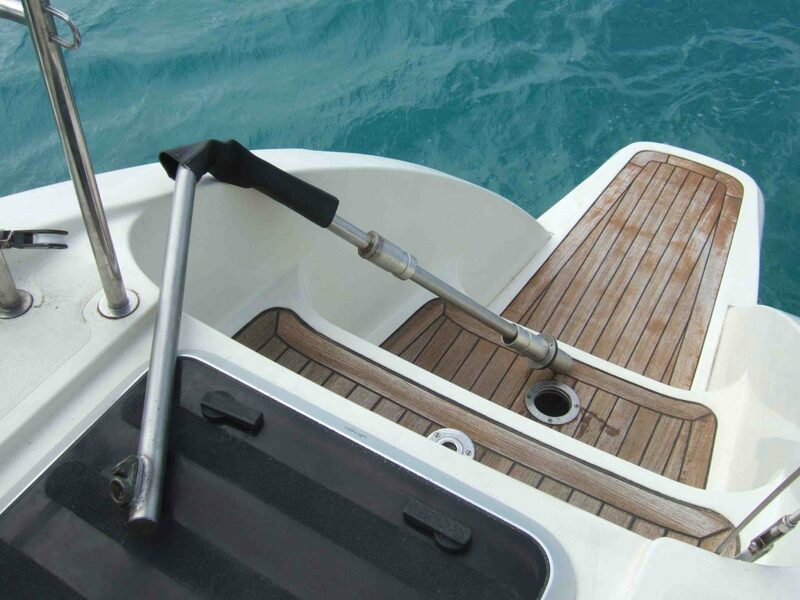 Rudder 1 remains connected to the wheel steering system and can be used for manual steering and for fine-trimming when using the vanegear. This means that it is always possible to switch to manual steering straight away if necessary. 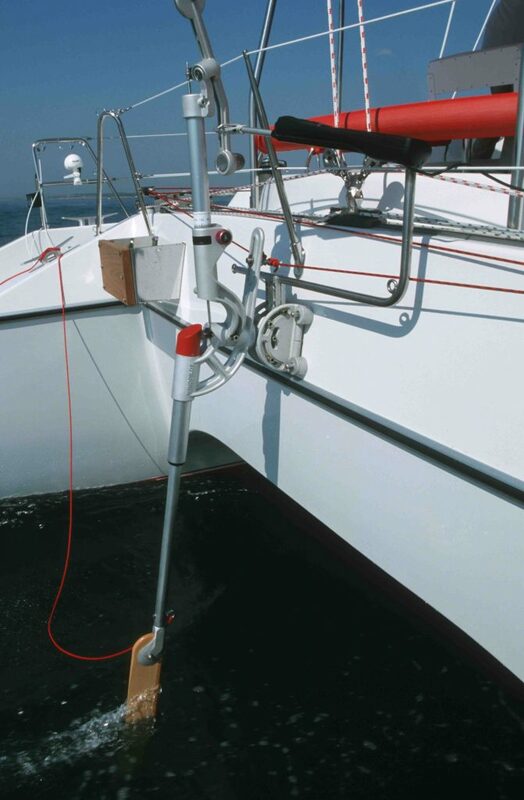 Rudder 2 is operated by the servo-pendulum system, which is connected via lines to the emergency tiller. This keeps the transmission lines short and ensures that as much of the force generated as possible reaches the rudder. 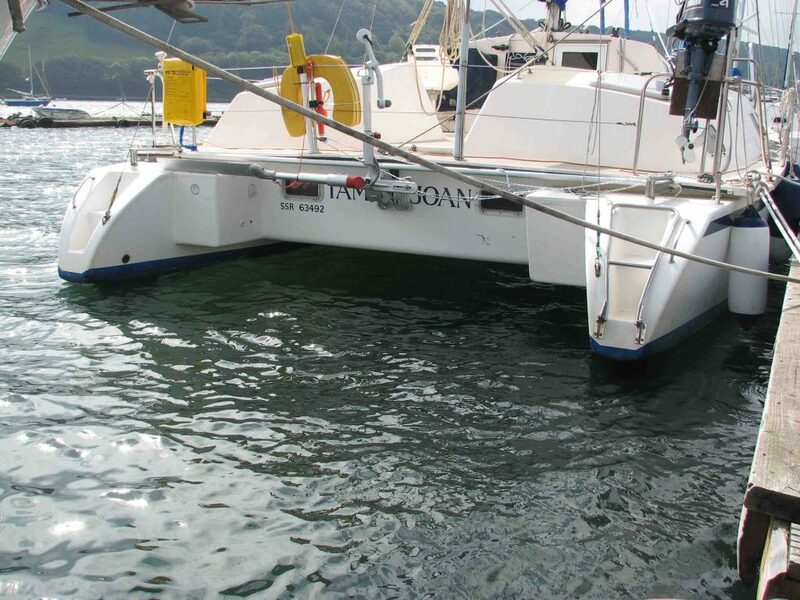 Auxiliary and double rudder systems are unsuitable for use on catamarans because the aft beam is too high up to provide the requisite robust mounting position close to the waterline. Not only that, but an auxiliary rudder mounted in this position between the hulls would have no main rudder in front of it to protect it from anything solid that happens to come floating its way. 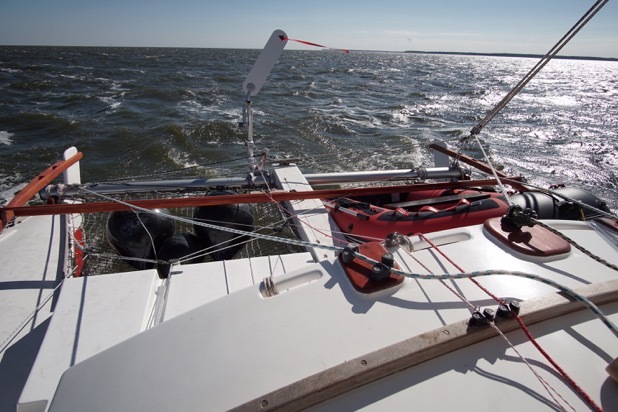 Combining a small push-rod autopilot with a windvane steering system is an attractive option for monohulls because it makes it possible to follow a compass course with very low power consumption. 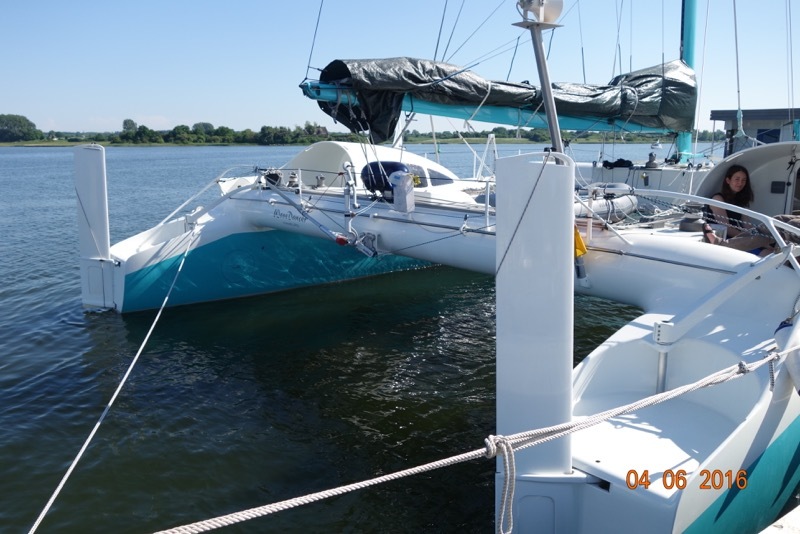 Catamaran sailors have even more to gain from the combination because it enables them to use a Windpilot even in gusty conditions where the boat’s pronounced acceleration and deceleration cause significant variations in the apparent wind angle. 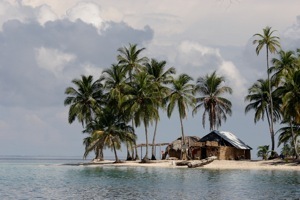 My conversations with catamaran sailors over the years have revealed that all share more or less the same concerns. The suitability of the Windpilot/autopilot combination depends on a number of design features of the boat involved and a few e-mails will usually be enough to bring clarity. 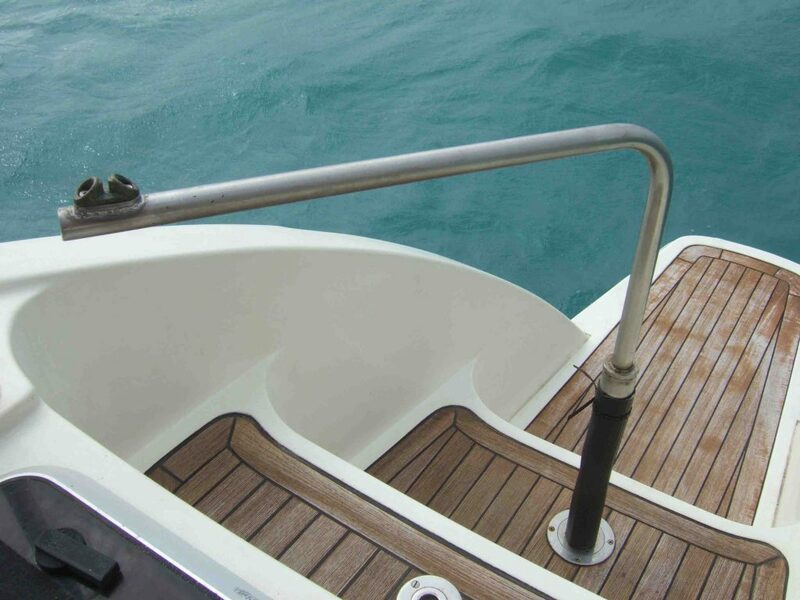 It appears that catamaran manufacturers are increasingly choosing to omit a robust emergency tiller system in favour of a screw-down hatch in the deck aft through which an emergency tiller fitting can be lowered and attached to the rudder quadrant in an emergency. 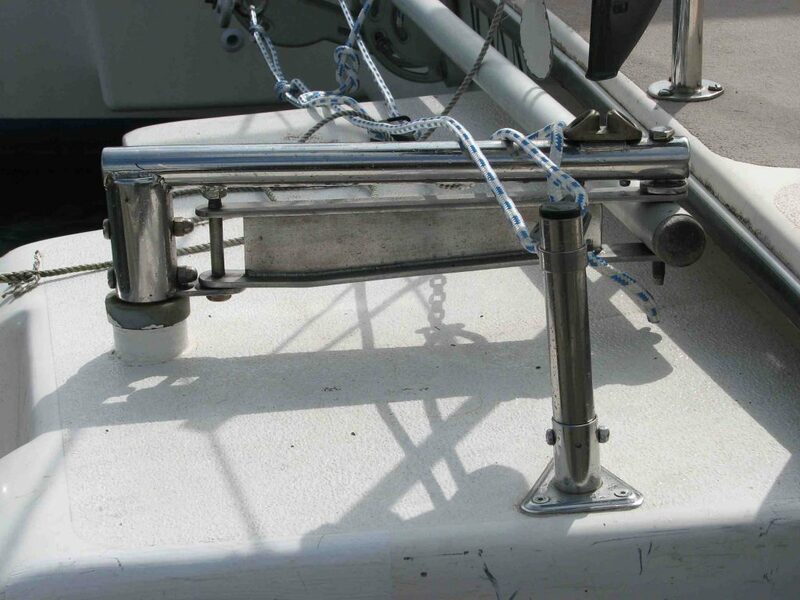 A certain amount of structural modification may be necessary in some such cases to ensure reliable force transmission from pendulum rudder to main rudder (indeed a certain amount of modification might be necessary even for owners not considering windvane self-steering just to make the emergency steering arrangement itself properly watertight). More and more bluewater catamarans are taking advantage of the Windpilot/autopilot combination as word spreads of the very significant power savings to be achieved. 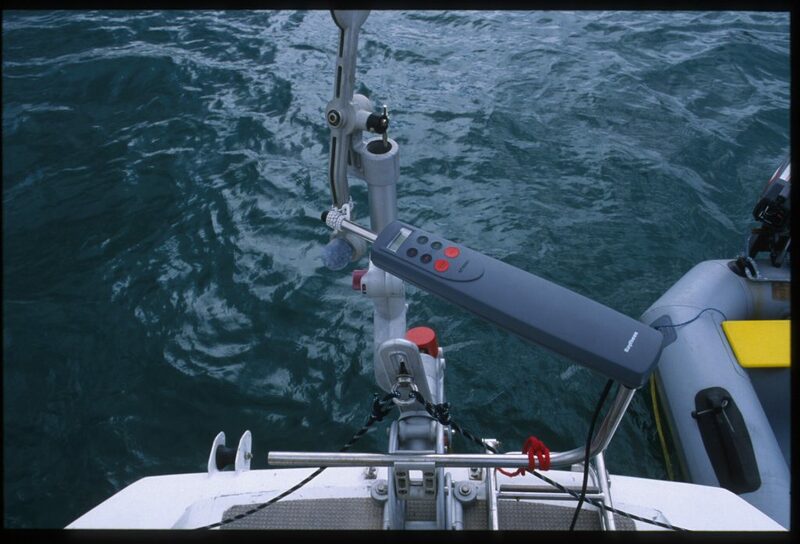 If there is no undisturbed airflow in which to mount it on the aft beam or if there is simply too much boat in the way, the Windpilot can always be connected permanently to the autopilot with no windvane at all. This solution has the potential to slash electricity consumption and make a real difference to power management on board, especially as the main inboard autopilot will usually still be available as a backup in extremis (provided that the engine is still capable of charging the batteries). 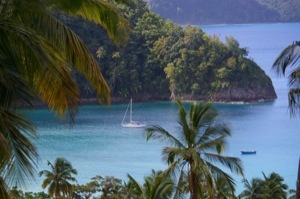 Recent decades have seen the sailing community move on from treating the choice of self-steering as an either/or decision to discovering the benefits to be gained not just from using both an autopilot and a Windpilot but from combining the two.